Support Human Rights Education and Make Activism Part of Our Students’ Future – Donate Today! 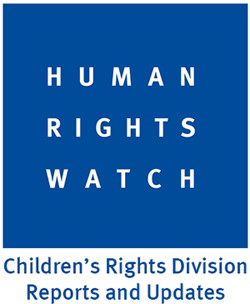 Human Rights Watch Student Task Force is committed to youth leadership-training that empowers students to advocate for human rights issues, especially the rights of children, around the world. Your donation helps us build our programming and makes the Student Task Force accessible and meaningful to all students in the areas we operate. 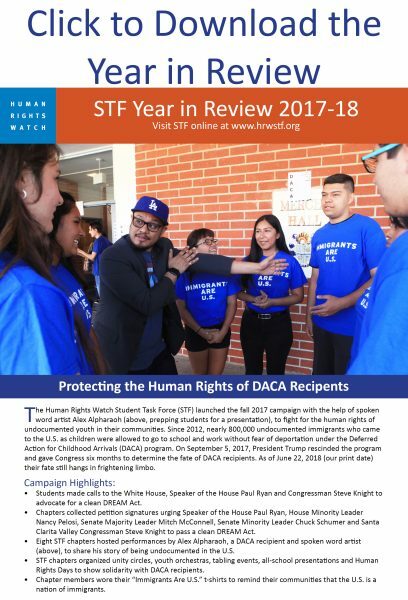 For more information, call the Human Rights Watch Los Angeles office at: (310) 477-5540 or email STF. Thank you for supporting human rights advocacy and education!